Do you have a lot of different products to test but not enough time to spend it in front of the maunual or semi automatic tablet tester? Make a first step for automation and accelerate your tablet testing process. 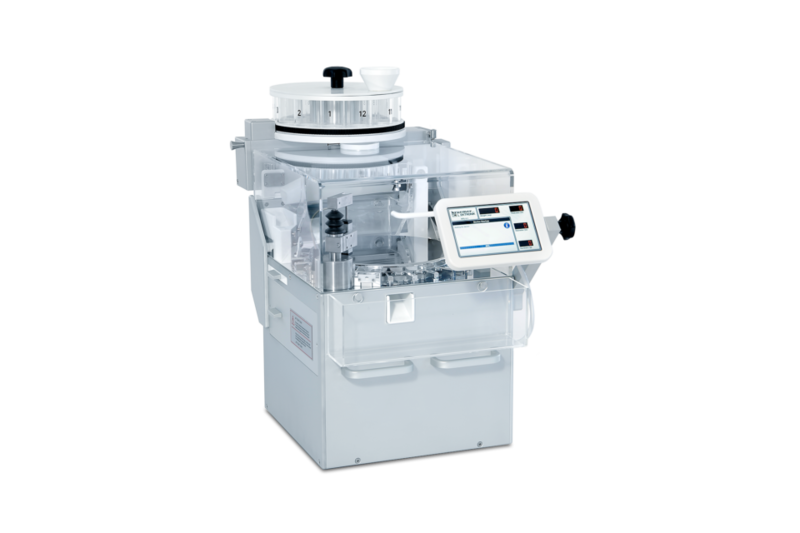 With the sample feeder, you can let the testers get on with the job without starting each test cycle individually. 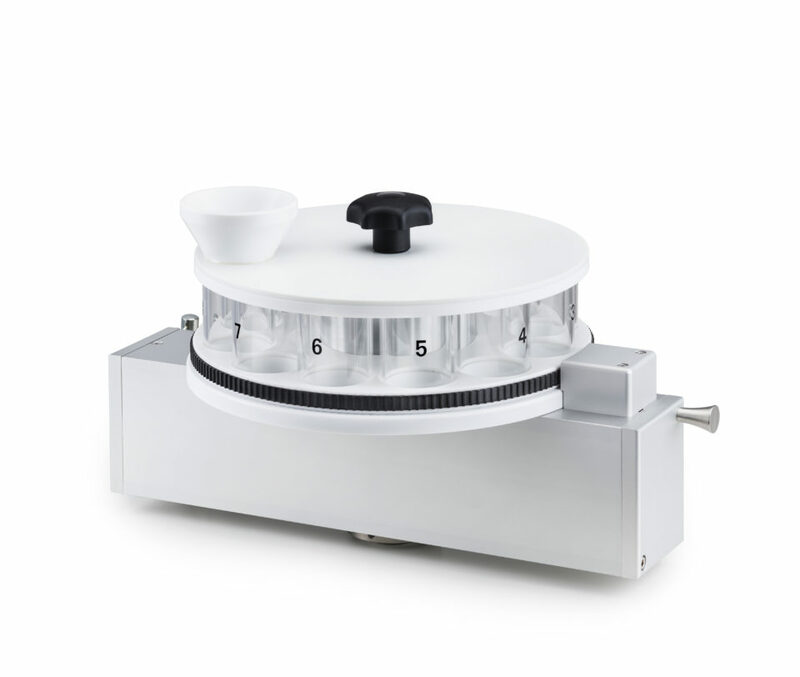 The sample feeder and collector are available in three sizes – with 12 stations as standard and 24 or 48 stations upon request. UTS4.1-12F with 12-station feeder on top and touch screen display.